Drunk and impaired driving is a serious problem across the United States. In fact, it’s an epidemic. Sadly, every day in the U.S., another 28 people die as a result of drunk driving. Something needs to be done and thankfully lawmakers and advocacy groups across the country are doing everything they can to fight back against the dangers of impaired drinking. Since drivers with a BAC of 0.08% or higher involved in fatal accidents were 6 times more likely to have a prior conviction for DWI than drivers with no alcohol in their system, car breathalyzers and interlock devices are becoming increasingly important. According to WKYT, ignition interlock devices are close to becoming a reality for first-time DUI offenders in Kentucky. Kentucky legislators passed Senate Bill 85 in mid-March, meaning it would make interlock devices an option for first-time DUI offenders. Additionally, drivers would have the option of losing their license for 9 months. Mothers Against Drunk Driving (MADD) supports the bill, stating that it has led to a 16% reduction in drunk driving fatalities. A similar bill has been introduced in Wisconsin. According to 23 WIFR, lawmakers are proposing a bill that would require all first-time drunk driving offenders (who recorded a BAC of 0.15% or higher) to utilize interlock devices. The bill would require judges to order first-time offenders to use the devices for a year regardless of blood alcohol level. The sobriety program option would be eliminated. Lastly, the Chicago Tribune reports that safety advocates across the country are pushing Congress to not only use these devices for first-time offenders, but to install them in all new vehicles. 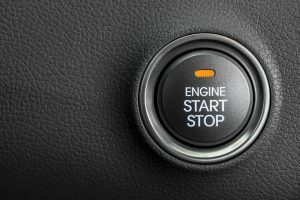 The goal of the initiative between the NHTSA and 17 automakers in the Automotive Coalition for Traffic Safety is to create interlock devices that would use breath or a touch of the finger to determine whether a driver has a BAC that would make it dangerous to drive. It’s time to take back the roads and improve the safety of every driver in the country. If you want to learn more about discreet breathalyzers and check out ignition interlock installers, give QuickStart Ignition InterLock a call right away!